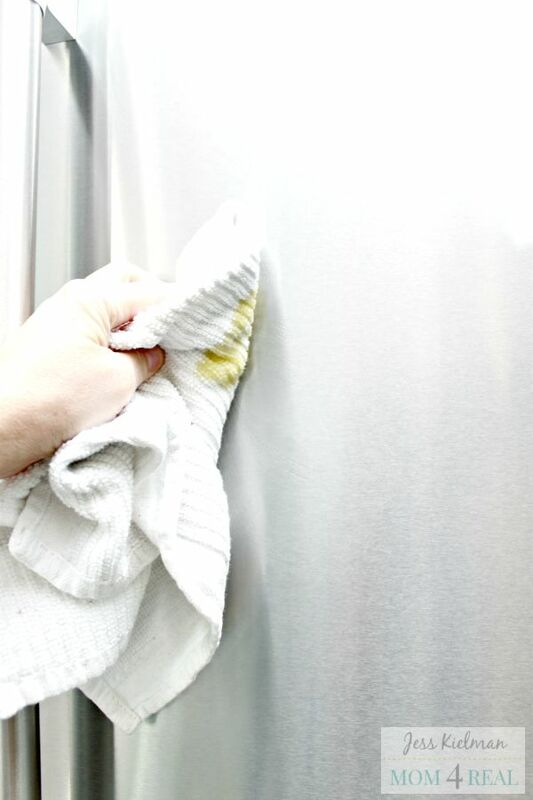 It’s so simple to clean stainless steel and make it smudge and fingerprint free! Don’t forget to Pin this to your favorite Pinterest Board for future reference! A few weeks ago, we purchased a new stainless steel refrigerator. I was so excited about it, but about an hour after it was installed, I noticed that it was riddled with smudges and fingerprints. That would not do! So, I did a little research to see what would get rid of the smudges and keep the fingerprints at bay. As usual…it all starts with vinegar. 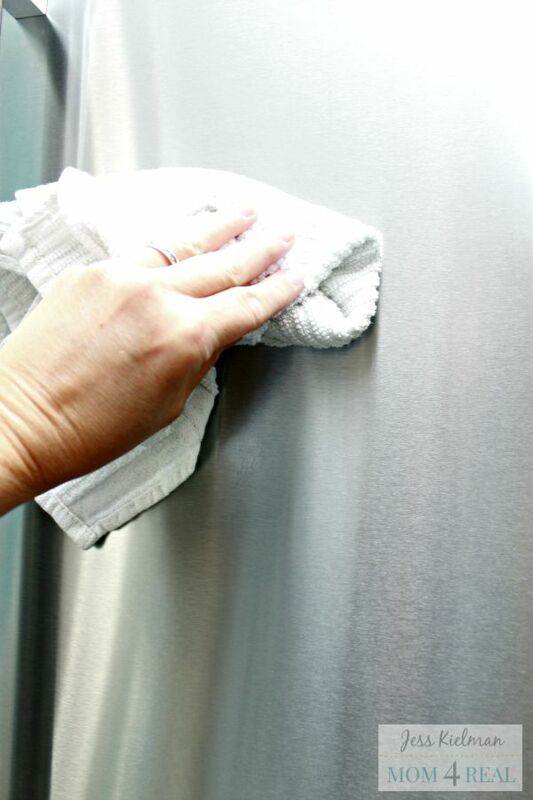 The first thing you need to do is spray down your stainless steel with vinegar, then wipe it clean. Now we are going to get a little weird. You will need some olive oil…yep, olive oil and a clean soft cloth. 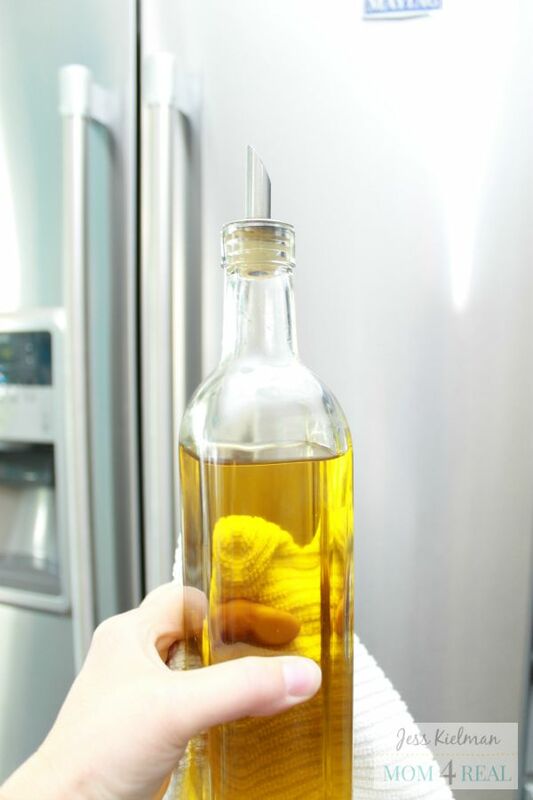 Pour some olive oil onto your clean cloth and rub it into your stainless steel with the grain. So for me, the grain runs side to side, so that’ is the direction I used to rub the olive oil into the stainless steel on my fridge. Now take a clean soft cloth and buff your fridge. You are removing some of the olive oil, but some of it is staying behind to keep fingerprints and smudges from forming every single time you touch it! 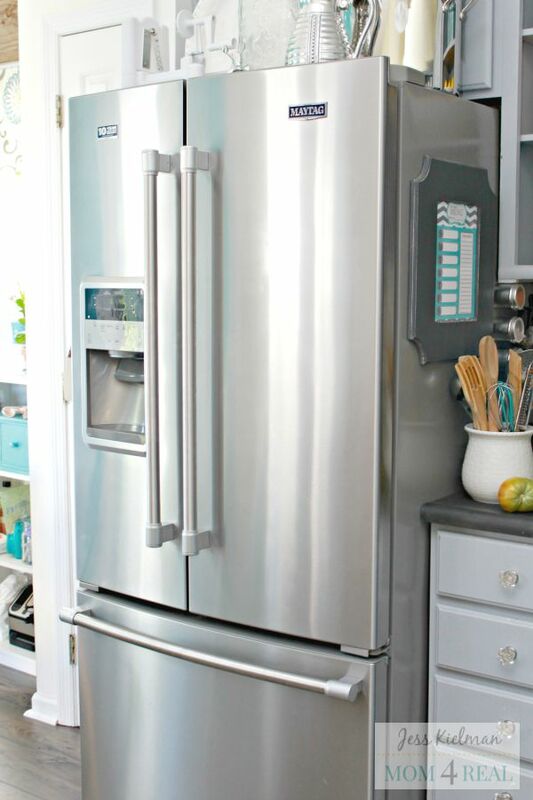 I do this once a week now to keep my refrigerator clean…it also works for all other stainless steel appliances! 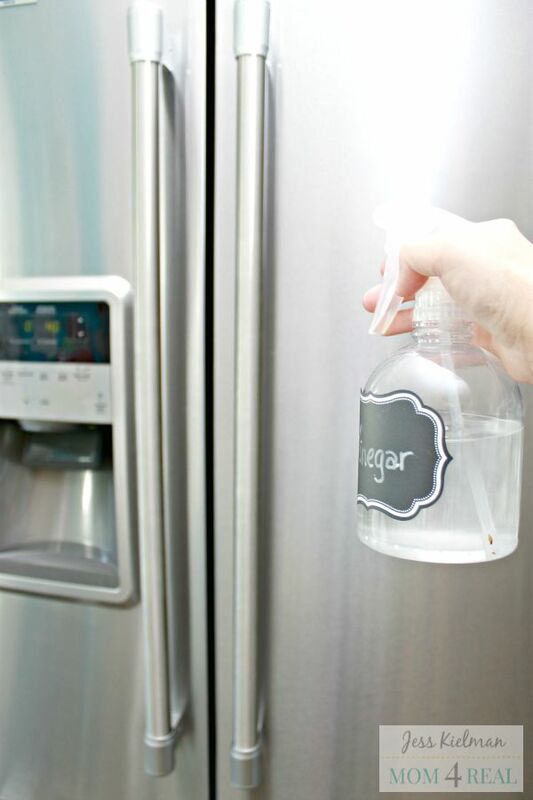 I hope this tip helps you keep your fridge and other appliances smudge and fingerprint clean! 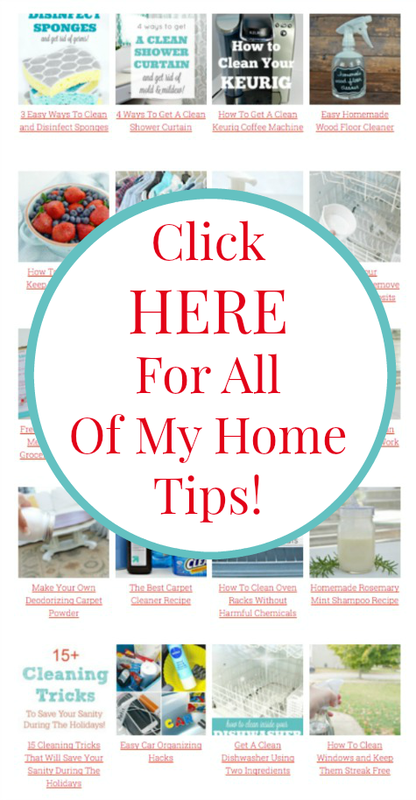 Be sure to check out all of my Cleaning Hacks and Home Tips HERE!